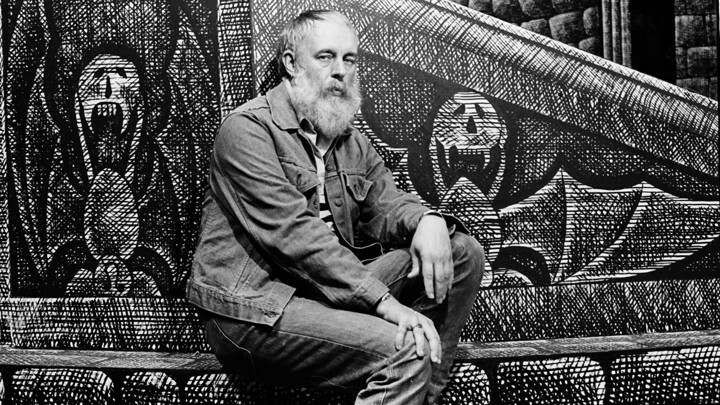 Edward Gorey is the doubtful guest in this fine biography: a stubbornly evasive and irreducible essence, now sprawled in a tureen, now chewing on crockery, now standing with his nose to the wall. He lived 30 years too early and 100 years too late. His solitude was significant, that’s for sure—but not as significant as his genius, which put him in touch, eventually, with the audience that could not do without him. I got this a couple weeks ago but haven’t read it yet. I’m trying to finish another book and with this Edward Gorey book I got almost a dozen recently purchased books I need to get to. And then today I bought another book, what’s wrong with me? 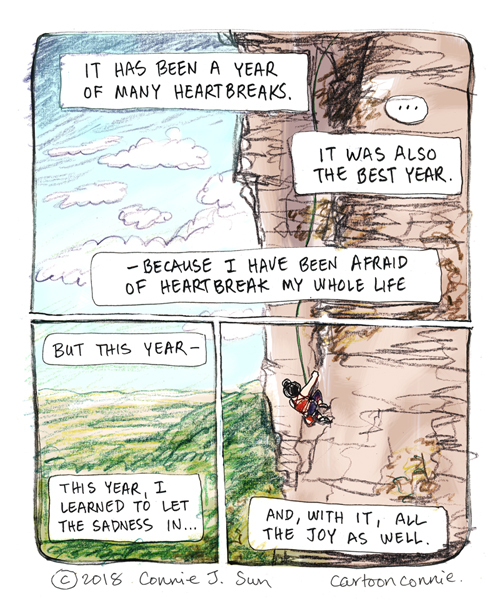 There are not a lot of webcomics I keep up with, and Connie to the Wonnie is (was?) not one of those. But when I came on this Charlie Upchurch talk with Connie Sun about stepping back for a moment before going forward I had to read it. The loved opening comic strip (reprod above), it drew me in to a wonderful read. 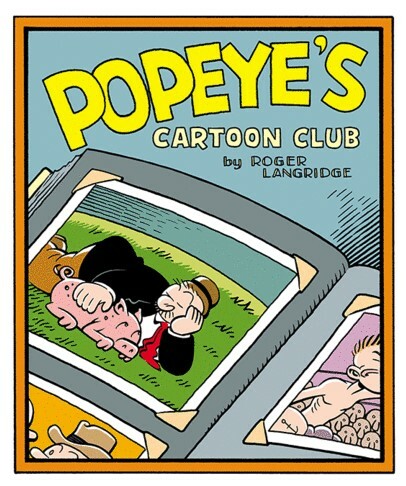 On the subject of webcomics – I think I’m really going to enjoy Popeye’s Cartoon Club. Tom Gauld shows the stages of his art on its way to the cover of The New Yorker. Jim Korkis‘ weekly Animation Anecdotes column comes to an end. 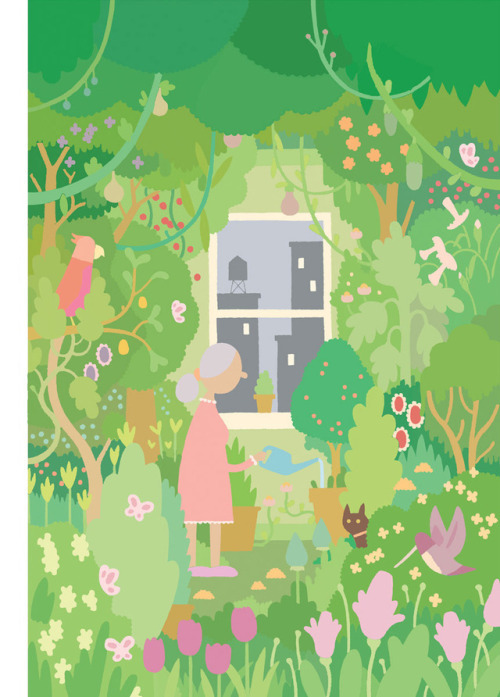 Brian Gabriel, via Cartoon Brew, discusses the role of public domain works in new creativity. Who You Callin’ A Pinhead?!? 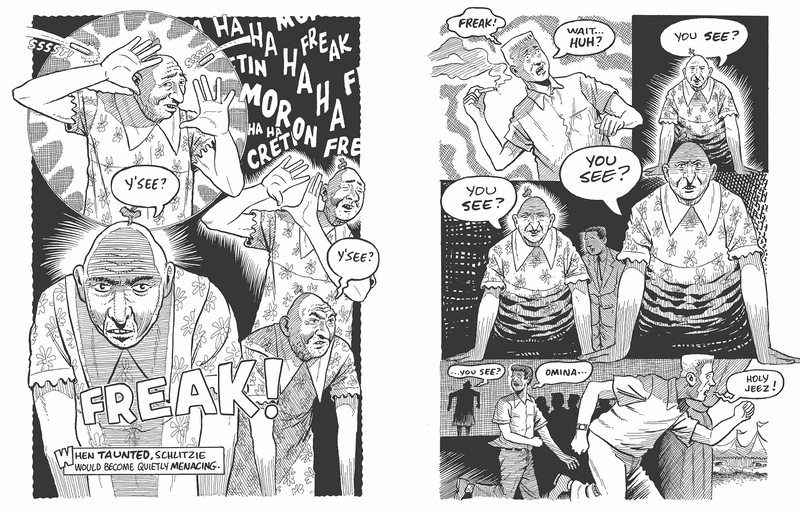 Stephen Heller and Print magazine preview Bill Griffith’s Nobody’s Fool. 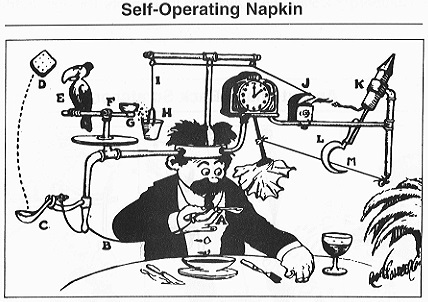 Interesting Engineering has picked 11 videos of Rube Goldberg contraptions in action. here’s the latest issue of Penstuff, the Monthly Newsletter of Cartoonists Northwest. 28 queries in 0.193 seconds.